Windows Vista might be flop to an extent but some of the features present in you might not find any other OS. You can create symlinks, Use checkboxes to select folders, You can merge two folders into one ( Virtually ) , copy path of any file on just a right-click and lot more. Take this points as Vista Tips or Tweaks as it suits but they sure can increase your performance.I got this laptop from my friend which has Vista installed and tested around some and explored. Here is a list of features some you don’t know some you might have known how to use them. Good Luck. 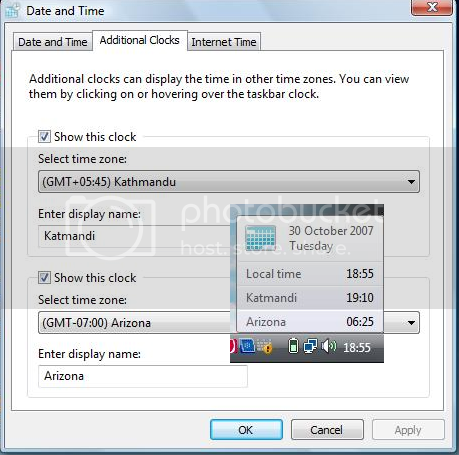 If you want to keep track of time of different places or multiple time zones, Vista Clock has this kind of feature. Just double-click on the clock and the time window will open. Click on the Additional Clocks tab and you can select another time zone with your desired name. Now when you hover your mouse over clock all of them will be displayed together. Till now we had been using CTRL or SHIFT keys to select multiple files. But the major problem is if you do a small mistake all of them gets un selected. Now even Nokia phones have feature like Mark / Unmark which allows you to select and scroll through. 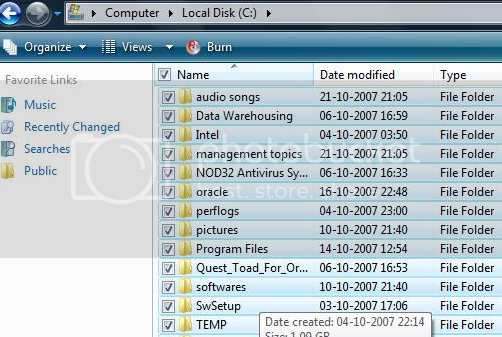 Vista gives you this feature and its the best for selecting large number of files. Click on Organize Menu on Left hand bar and then choose Folders and Search Options. Select and close. 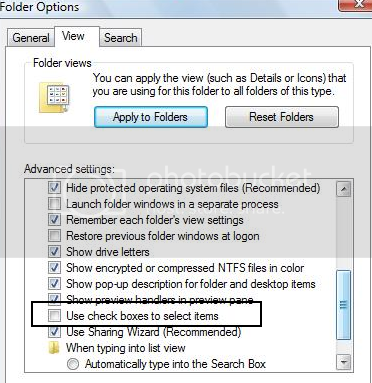 Now you will see checkbox on left top of every file. When you do the same on encrypted folder you will “Decrypt” option instead. PS: Sorry I forgot to take a snapshot here and My friend left. 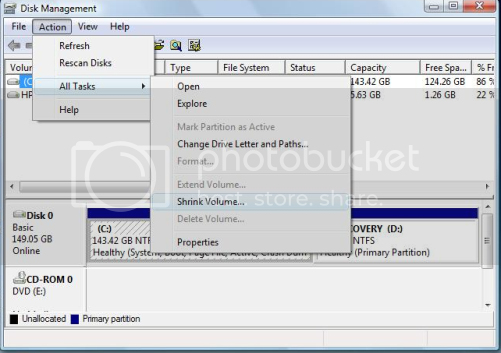 Vista comes with an inbuilt Disk Management feature which allows you to resize your hard disk partitions ( increase or decrease) and that without loss of data. So now instead of using third-party tool like Partition Manager use this. Go to control panel and look for administrative features. Go to Action > All Tasks and You will see options shrink and expand. This feature is safe but still use it with caution. 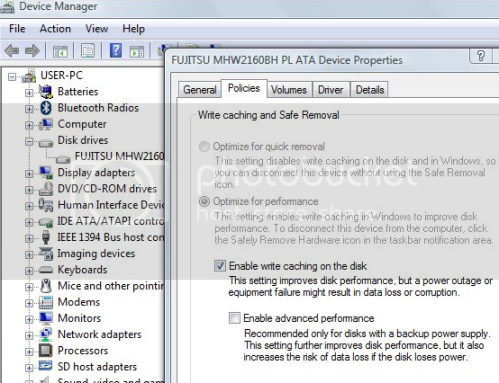 Windows Vista by default does not enable advanced write caching feature of SATA hard drives. Here are the steps you can do by enabling it. Now go to policies tab, and Check the box next to enable advanced performance. Its annoying every time you want to use the path of a file or folder, you have to manually type it and append with path. You will see a new option “Copy as path” . 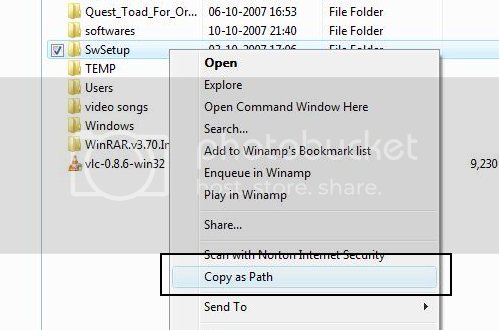 Click and path will be copied in memory. Use CTRL + V to paste. Power Down key is by default set to put your computer in sleep mode which is not desired. If you want to change it. Now if you press power key it will shutdown instead of going to standby. #11 Take Snapshot with Snipping Tool. 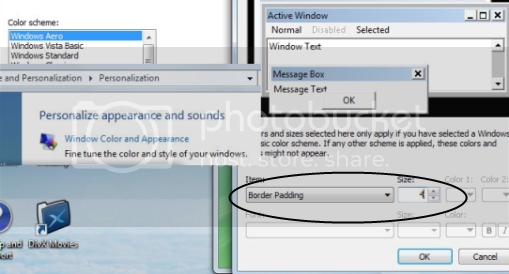 Vista comes with an inbuilt program called as Snipping tool which is used to take picture of active window , or are which you select. Then look for snipping tool. Rest is simple. Just take snaps of whatever you want. However with this tool you wont be able to take pictures along with menu. Like right click menu. It disappears as soon as you click it. I find print screen still useful. You can quickly resize the icons in folder by Holding CTRL key and scroll the mouse wheel back and forth.